There is no more powerful way to get cats adopted than through good marketing. Austin Pets Alive’s Cat Marketing Team discusses how to save cats by increasing their chances of adoption. If cats are adopted faster, more can be saved. 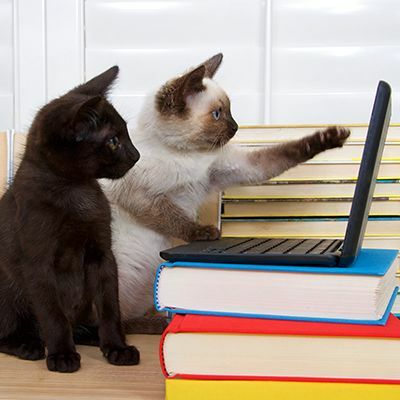 Come learn how to juggle up to 900 cats in a program and tips for success. Presented by Ashley Ferry, this program was part of the American Pets Alive! 2015 No-Kill Conference. Ashley Ferry graduated from the University of Texas McComb's School of Business with a Bachelor of Business Administration Degree in Marketing. During her time at UT, Ashley worked to combine her marketing education with her life-long love of animals by completing a marketing internship with Austin Humane Society and a cat marketing internship with Austin Pets Alive!. Upon her graduation and completion of the cat marketing internship, Ashley continued at Austin Pets Alive! as the Cat Marketing Manager until August 2014. In June 2014, she became the Cat Foster Manager at Austin Pets Alive!. She currently manages a program that utilizes over 650 foster homes a year and is working to grow the foster network and better support foster homes to increase positive experiences for animals, adopters and fosters alike.